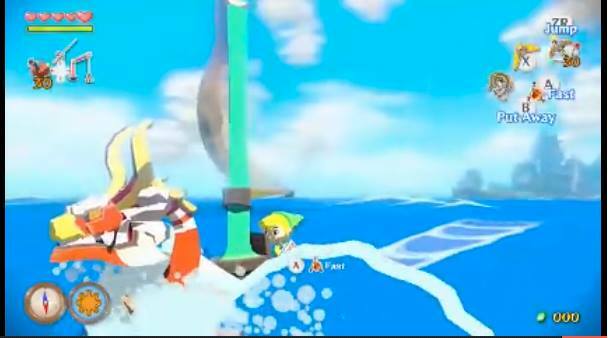 The Wii U remastered version of The Legend of Zelda: The Windwaker will be coming in October. Featuring 1080p updated graphics, this remake of the Nintendo Gamecube classic will also contain a new feature called “Tingle Bottle,” a reworking of the “Tingle Tuner” in the original. Players will be able to send messages and even include screenshots from the game to send to other players by casting the message in a bottle into the ocean. The feature will then work with Miiverse to interact with players all over the world.